By Randy Giusto, 21 September 2011, 0 comments. Categories: Advertising, Advertising Technology, Campaigns, Commerce, CRM. Should you represent your brand on Facebook? As a Digital Marketer I like to stay abreast of what’s happening on the various social networks. Facebook and Twitter are definitely the biggest two and more than likely the most popular, with the likes of LinkedIn not too far behind. That said, most brands are realizing that they need a presence on Facebook and Twitter, but the question is, is the ROI worth while? By imod.co.za, 17 September 2011, 0 comments. Categories: Advertising, Advertising Technology, Campaigns, Publishing, Social Media Marketing. There’s been a lot of debate over the main news feed you see on Facebook when you’re logged into your account. Facebook have added features like hiding people, seeing certain lists and so forth, but they’ve just announced a new feature which assists with this. Don’t forget that at the moment you can’t see people’s updates if you’re not friends with them – this is a bit of a bummer. By imod.co.za, 14 September 2011, 0 comments. Categories: Advertising, Publishing, Social Media Marketing. 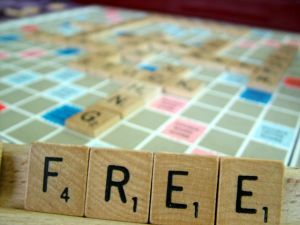 How free are your free gifts? By Jim Connelly, 07 September 2011, 0 comments. Categories: Advertising, Branding, E-Commerce. The Portland Trail Blazers were looking for a way to capitalize on the excitement of a Friday night game and garner unsolicited media coverage, all while promoting their sponsor. The solution: an on-court promotion giving one lucky contestant the chance to attempt a half-court shot for a new Toyota vehicle! Not only did the promotion generate excitement in the viewing crowd, but the results had the media and fans buzzing for the remainder of the season! By Amanda Saferin, 22 August 2011, 0 comments. Categories: Advertising, Campaigns, Video & Audio Marketing. By BTZ Brand, 22 August 2011, 0 comments. Categories: Advertising, Advertising Technology, Email marketing, Social Media Marketing.